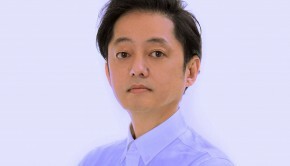 Yuji “TECHNOuchi” Takenouchi’s diverse career spans games such as Metal Gear 2: Solid Snake, X-Men, Circadia, Bravo Music, Ace Combat X, and Demon’s Souls. Despite being in the video game industry for 20 years, it’s only recently that he has become a well-known name. 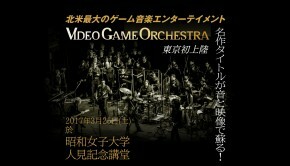 This month he founded the Video Game Sound Creator’s Alliance featuring over 40 major Japanese game composers. In this indepth interview, we take a tour throughout the composer’s career. Takenouchi provides valuable insight into each of his projects while telling us about more general experiences about how he pioneered club music within Konami Kukeiha Club, realized the price of security over freedom as a freelancer, and went on to found GE-ON-DAN. It’s a valuable read whether or not you are already familiar with him. Chris: First of all, many thanks for speaking with us today. For those who aren’t familiar with you, could you tell us about your musical background? Given your nickname, TECHNOuchi, are you mainly an electronic music or do you have experience in other genres? Yuji Takenouchi: Thank you for interviewing me. My musical life begun when I started working for Konami in 1989. This nickname of mine, TECHNOuchi, was born from combining my actual name TAKENOuchi and TECHNO, which is the genre that influenced me the most. I was trying to bring such genres like techno and club music, which did not really exist in game music, at the time. Certainly I wrote techno quite a lot during the beginning of my career. However, looking back 20 years of my career, I have written many styles of music besides techno. This “Me = Techno music” image probably comes from my nickname. Chris: Perhaps your most high-profile MSX works are SD Snatcher and Metal Gear 2: Solid Snake. How was it to work with Hideo Kojima’s team on these projects? Given these scores were collaborative, just how big was your role and what compositions did you create? Yuji Takenouchi: The whole PC game sound staff wrote the music together for those. There were about 8 people in the PC game sound team back then, including some part-time staff. There are many pieces for those games, but individually we did not have to write as many. Hideo Kojima was not as big as he is now, so his game was treated more or less the same as the other projects. For those particular projects, the most impressive of my creations were the last boss theme from SD Snatcherand the game over music from Metal Gear 2. To be honest, the project I like the most from my MSX era is not those two — it is Space Manbow. I was very proud with the soundtrack release for this one. Yuji Takenouchi: Motoaki Furukawa is a very respectful person and influenced me quite a lot. The melodies and chords he creates are very simple yet impressive — really wonderful stuff. I worked with Mutsuhiko Izumi for Crypt Killer and Speed King. He is also a great person, and originally he was performing around as a progressive rock musician. I worked with Tsuyoshi Sekito several times in the MSX room on Space Manbow and SD Snatcher. I was also in charge of teaching Junya Nakano, so we worked together for quite a lot of games. He understood and made what I envisioned. Other than those guys, other composers such as Kenichiro Fukui made a good influence on me. Yuji Takenouchi: Unlike MSX, you don’t really listen to Arcade game music in a good environment. We had to go to actual arcades to do location tests on the sound a lot. Also we shifted to FM sampling from SCC sound, so the variety of the sound became wider and the number of simultaneous sounds or voices increased. Because of this, it became easier to express what I wanted to, I started trying to put in new ideas, and I made a lot of effort to put in different expressions. I leaned a lot from those 6-7 years in Konami, and I certainly would not have existed now if I did not work there. Yuji Takenouchi: Back then, I participated this project called “Let’s Play Games” (or “Game Yarouze”) that SCE hosted. SCE paid our salary, the rent for the office, the dev-kit, and pretty much everything for the project participants, and they even supported incorporating for superior teams. Along with a few other members from Konami, we became independent. We, freshwater fish, were eager to travel to the vast ocean, and so we did. We were totally responsible for everything, and the projects might fail anytime. However, despite the thrill, we were able to work with such a relaxed mood. Yuji Takenouchi: Circadia is a Playstation adventure game released exclusively in Japan. That was my first PS project, though I was also working on Gekisou TomaRunner at the time. I had to start from studying how to make sounds on PlayStation, and I wasn’t really used to it yet. The finished product was not really satisfactory. But the game fans even started like a petition for the soundtrack to be released, and I really wanted to respond to that. It had been 10 years since the game was released. Although I had already left Sony, I contacted the person I know in Egg Music and the Sony senior vice president. I created the arranged version of the music from Circadia imagining a remake of it, and we included that along with the original tracks as appreciation for the dedicated fans who waited for 10 years for the soundtrack. Chris: You also worked on the TomaRunner series of adventure racing games. Did you mainly elaborate on your techno style for the first game in the series? What was it like integrating L’Arc~en~ciel music into the band-themed sequel, Gekitotsu Toma L’Arc? Yuji Takenouchi: Like I mentioned earlier, TomaRunner and Circadia were developed simultaneously. But TomaRunner was a very memorable one for me because I did from the project draft, the music, and even the voices of the characters. It was inspired by Nintendo’s Mario Kart series and the Schwarzenegger movie The Running Man. The gameplay itself is like Mario Kart, but you run instead of driving. You paralyze enemies by farting(! ), use mines and missiles, and even use thunder to distract your opponents. It featured a wide variety of music such as Techno, Japanese traditional music, Samba, Fusion, Rock & Roll, Cartoon, Baroque, etc. We all had really fun making this game. The collaboration on Gekitotsu Toma L’Arc started because Hyde from L’Arc~en~ciel became a big fan of TomaRunner, and he asked us to make another version of TomaRunner with them in it. They are also from Sony, so the production went pretty smooth. Chris: On a somewhat related note, you also worked on a line of rhythm games under the ‘Bravo Music’ line at Sony. How was it to adapt classical music into interactive pieces on these projects? The music of Chain Dive, a Japan exclusive release which I worked on after that one is rather important for me. It is actually the last game that I composed music for during my 20 years career (I only did the sound effects for Demon’s Soul which came out later than Chain Dive). In that sense,Chain Dive is like the representation of my game music career. Chris: After becoming a freelancer, you acted as a sound producer for Ace Combat X: Skies of Liberation. Was your direction for this project partly inspired by Namco’s scores for the series or did you mainly go in a unique direction? 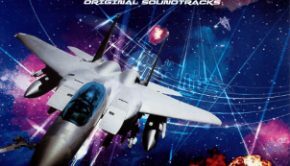 Yuji Takenouchi: I was really happy when I got the offer to do the music for Ace Combat X. However, I was not in the game industry then — surprisingly my job was to manage a school at the time. This job was more hectic than I expected, so I totally did not have time to compose even though I took the gig. So I asked Akira Yamasaki, whom I introduced on GE-ON-DAN, to do the job. I just did the quality assurance part, and I acted as the pipeline between him and Namco. Chris: Your latest game project was Demon’s Souls. What do you feel the ambient sound design brought to this project? How was it to work with the PlayStation 3 after working on so many technologically limited consoles and computers before? 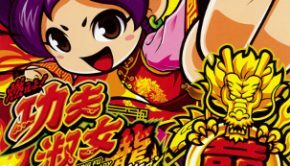 Yuji Takenouchi: During the three years of my absence after finishing Chain Dive for the PlayStation 2, the PlayStation had evolved to its 3rd generation. Demon’s Souls was the very first come-back project, so I first began studying the tools, researching the sound that was demanded…. it was pretty tough I must say. I do not have enough knowledge to write an orchestral score, so I had Shunsuke Kida from GE-ON-DAN to do the music. I did the sound effects and focused on coordinating the team. Yuji Takenouchi: The same guy whom I asked to release the soundtrack of Circadia hooked me up with the remix project. Actually I had made remix CDs before for Bust A Move: Dance Summit 2001 so I was somewhat experienced. I had also released a real club music 12″ album from R&S Records in Belgium, although that was not game music. I was really happy to do remixing since it had been a while. I completed The Mix album in two to three days, and those two unused tracks are the ones I made just for fun. I did not intend to release them or anything. Chris: In the last year, you’ve also contributed remixes to the various Cave arranged albums. How do you manage to create such simultaneously stimulating yet relaxing electronica on these albums? Do you think there could be more albums announced in the future? 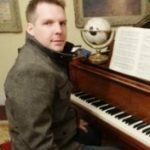 Chris: Recently you have set up the Video Game Sound Creator’s Alliance featuring more than 40 high-profile composers. What is the purpose of this organisation and what should we expect from it? How did you gain the participation of all those involved? Yuji Takenouchi: The purpose of the alliance is to strengthen the network among the game sound creators. If you are employed in a company or you are a freelancer, unless you do serious networking, you wouldn’t have any opportunities to meet other creators from other companies. I was not very much of a networking person before, and I did not think networking would be such an important thing. The thing is that you never grow without competitions. You don’t just compete with anyone. You compete with the people who are your good friends and rivals. In that sense, the members from GE-ON-DAN are those who can be good friends as well as rivals. You would not have a competition among the sound creators from the same company. They would just end up being friends, not rivals. However it is not like you must do things if you join the alliance. Yet I believe that things will happen naturally. This could be through collaborations, concert event….. I do not know what they will be. One thing I can say is that there will be a change as long as one person does something. The change will bring various kinds of improvements to the sound creators, and I think it will also spread to the fans. Eventually bigger changes will occur. Chris: The sound alliance seems to have formed a collaboration Video Games Live. What will this alliance bring to both parties? What was it like experiencing the tour’s debut in Japan? Yuji Takenouchi: Thank you, too. Many of the games that I worked on are pretty minor and there aren’t even many people who remember the name TECHNOuchi. Thus I think there are like no one who knows TECHNOuchi for game music in the world. Yet that is over. I hope the Cave trilogy will be a signal fire of my come back. Enough said about TECHNOuchi — I just would like to say thank you to all the listeners who love the game music. I thank you! Please keep supporting the Japanese game music, and please check out the activities of GE-ON-DAN members! Posted on October 1, 2009 by Chris Greening. Last modified on March 1, 2014.